I’m excited to be a PSA Essentials Design Team member this year! A few weeks ago, a wonderful box of PSA Essentials goodies arrived at my doorstep, ready for me to stamp anything and everything to my heart’s desire! PSA Essentials manufactures personalized self-inking stamps with patented Peel & Stick technology. I always like to start off with new products by showcasing a simple, beginner project. I think it helps to see that you don’t have to be a craft guru or spend hours to enjoy crafty tools and have a fun hobby. These Golden Leprechaun Coins are a fun, easy way to get started with the PSA Essentials stamping goodies, just in time for St. Patrick’s Day! 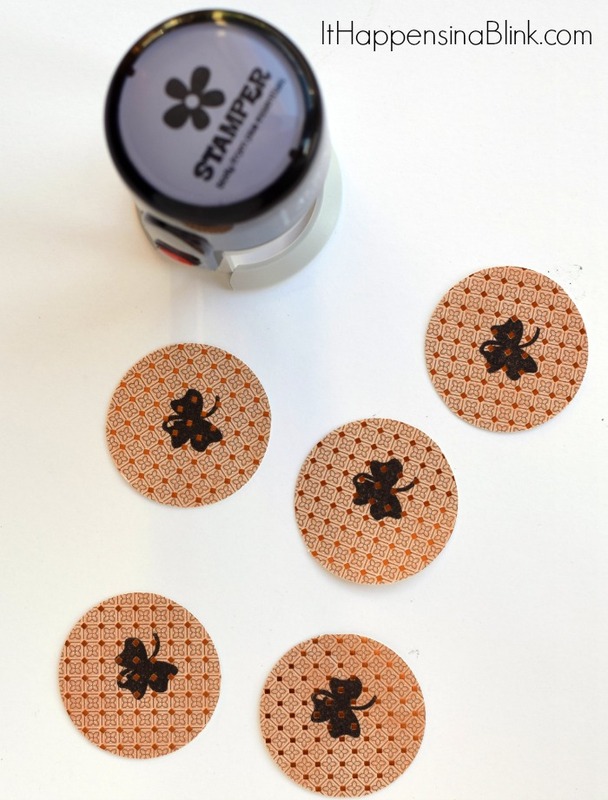 Begin by cutting the card stock into circles. I used my Cricut machine for this, but feel free to use whatever method you can. A Silhouette or stencil will also do the trick! My circles were 2 inches, and I thought they were a little on the big side. I would recommend 1.5″ circles. 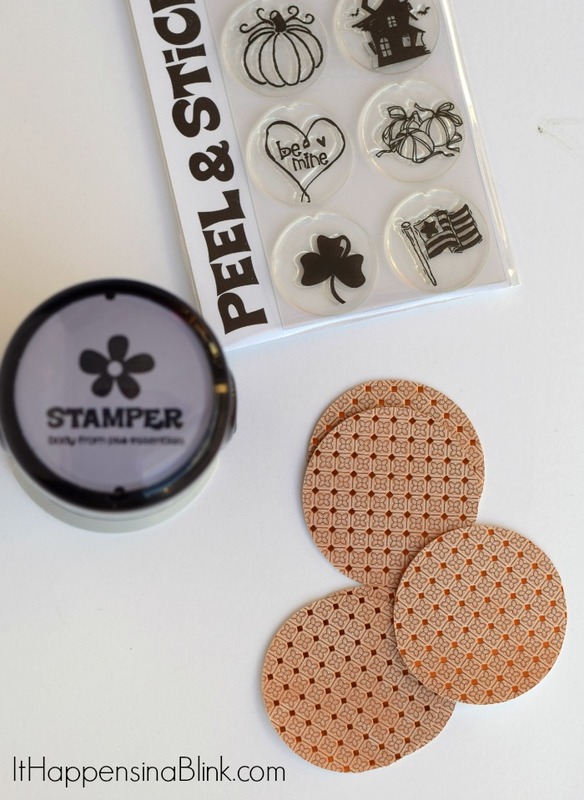 Following the instructional video via PSA Essentials, apply the PSA Essentials Peel and Stick Clover Stamp to the Stamp Body. Stamp the gold circles. 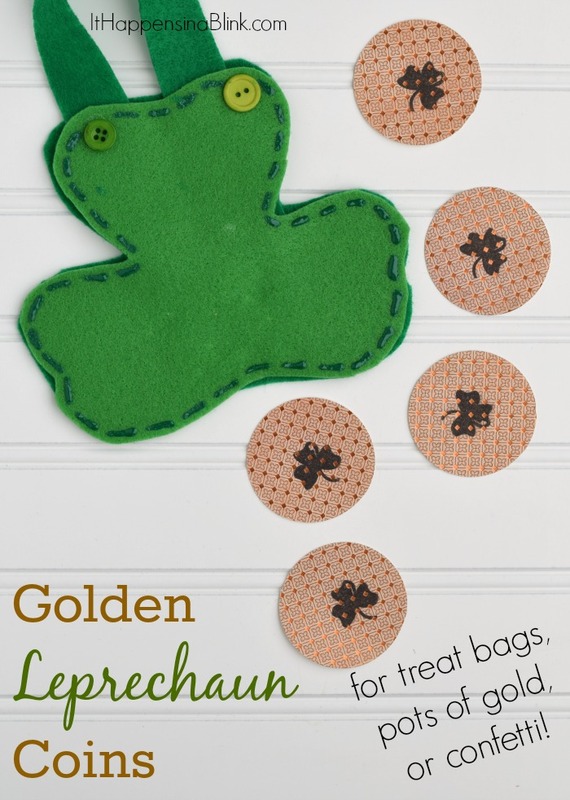 Use these “coins” in pots of gold, as extras in party favor bags, for preschool St. Patrick’s Day games, or as large confetti pieces for your St. Patrick’s Day party! I can’t believe that Feb is almost over and that St. Patty’s day will be here in just a few weeks! I LOVE your coins!